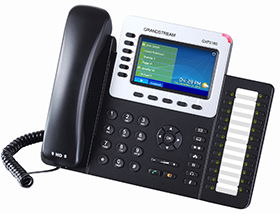 The Grandstream GXP2160 is a full-featured IP phone designed for Enterprise and SMB Users. This IP Phone features a large LCD Display, support for up to 6 SIP accounts, PoE (Power Over Ethernet), and HD Audio. 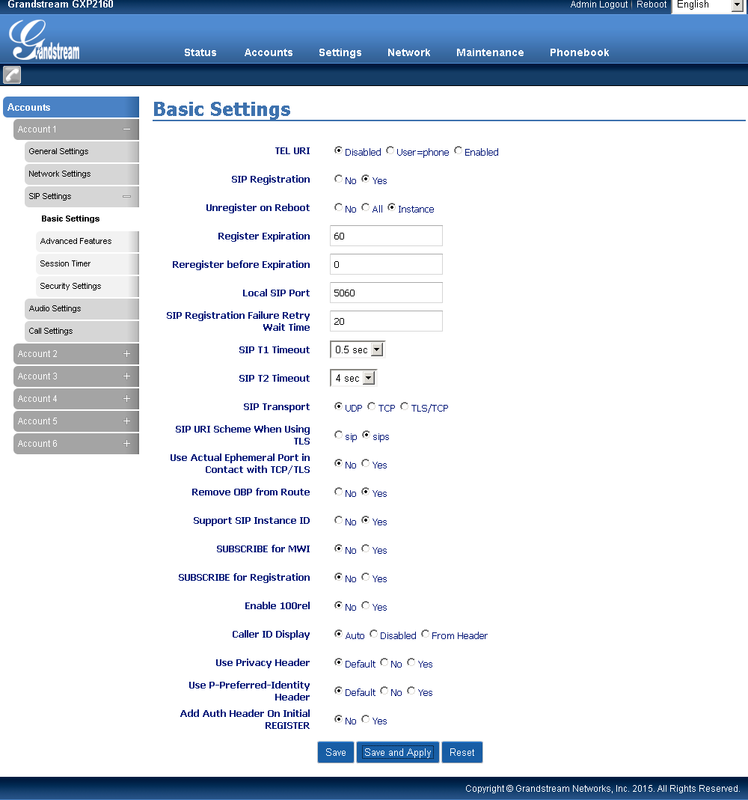 The setup guide below is based the GXP2160 running on firmware revision 1.0.4.23; if you are running a different software version, some menus/settings may be different. These instructions are also based on using the GXP2160 in its factory default configuration, which obtains a dynamic IP address automatically from your router using DHCP. For information on configuring your GXP2160 with a static IP address, please refer to the GXP2160 user manual. 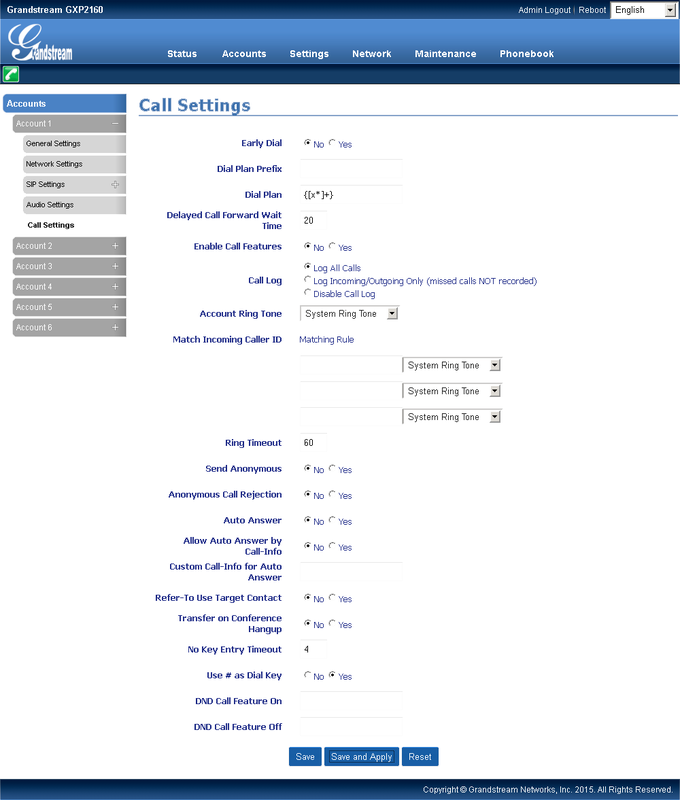 In this guide we will go through configuring the GXP2160 in order to register to the Callcentric servers so that you will be able to place and receive calls using your Callcentric account. Before moving forward please ensure that you have properly added the device to your network by connecting it to your router or gateway. 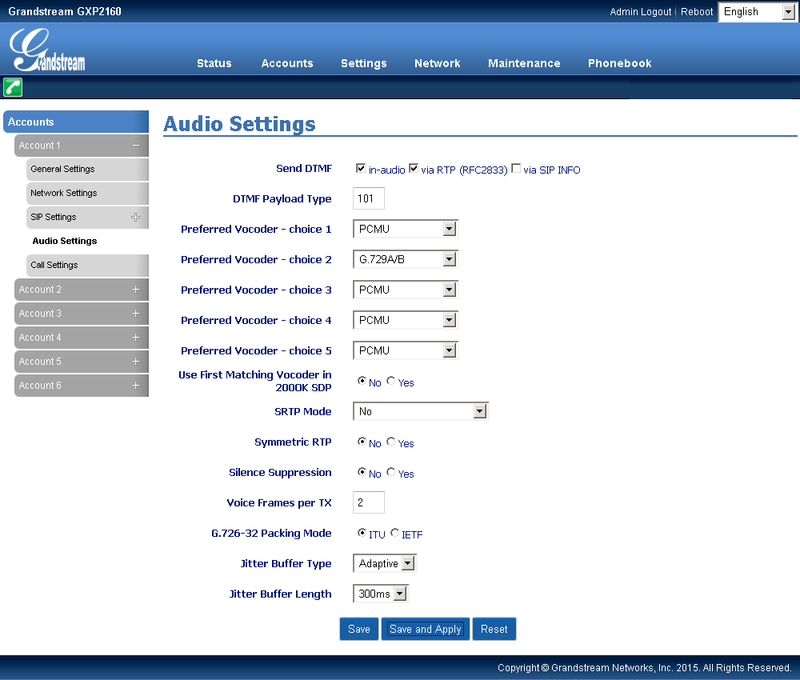 Note: Although this device supports many advanced features/options; this guide will only detail the specific settings which are required to establish basic connectivity between your GXP2160 and our service. If you need additional assistance with any specific issue please let us know. 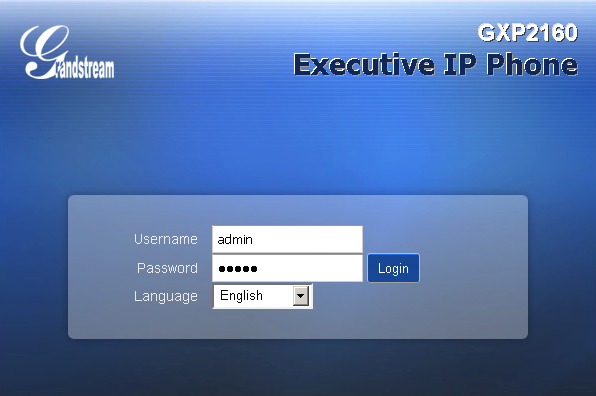 Log into the GXP2160's administrative interface by using the supplied default username (admin) and default password (admin). 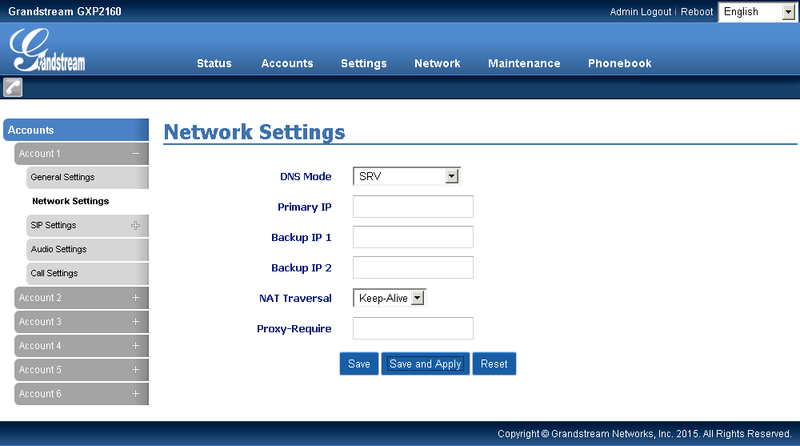 To ensure that your GXP2160 has successfully registered to our service click on the Status option on the top menu bar. 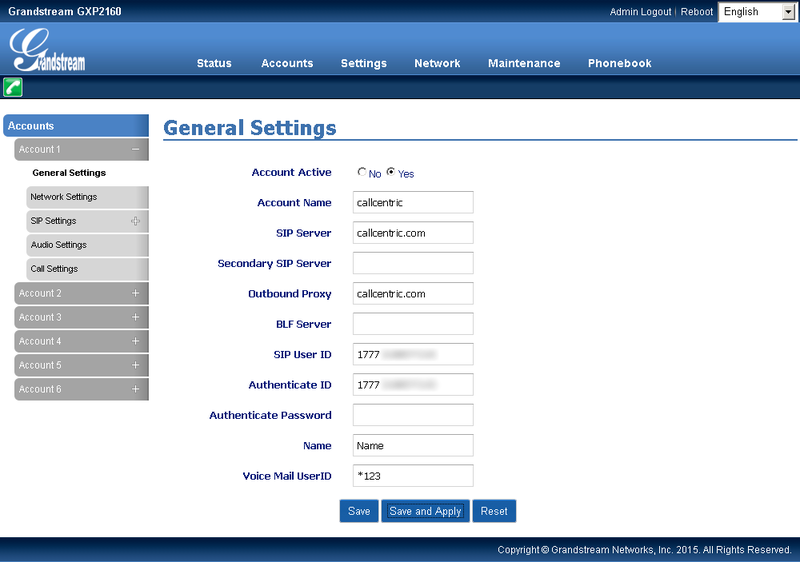 Locate the Account Status section; you should see that the Account you just configured is now Registered.